Greetings and Welcome to the Realm ! We are Spiritual people of different ethnic and cultural backgrounds. 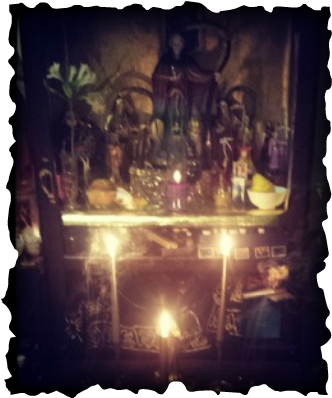 Readings are conducted with the assistance of demons, pendulums, and tarot cards. Readings are delivered via E-Mail. Please send your questions to our email and make sure to include in depth details relating to your questions. Personalized demon and spirit dolls handmade by a real witch can be ordered here on the site. We ship worldwide. By law we are required to remind you that spells and items will only be sold and dispatched to people over 18 (or 21)(depending what the legal age in your country is). All our items should be treated as curio and not as replacement for any medical, psychological, or physical treatment. Some of our spells require items to be shipped to you, so please if you are outside the United States provide us with a telephone number as well. ​Readings via telephone are only available by appointment in the USA or associated territories. These are Spiritual Readings we do not perform Demon readings over the phone under any circumstances. We only provide readings over the phone to landlines overseas no cellphones. If you wish to have a psychic reading via telephone with Alexandar make sure you click on her picture. You will be prompted to a new page where you can schedule your reading with Alexandar. If you have any question about our services send us an email with a brief description of your current situation. Include what are your goals and spiritual needs and we will be more than happy to give you the service that will best fit your needs. If our services are requested to be performed on other individuals we will need their basic information as well. Om Gam Ganapataye Namaha! 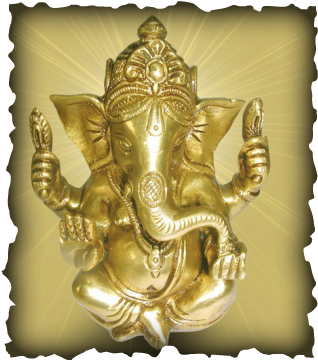 The Great Ganesha will remove all obstacles in your life, bring you wealth, love, prosperity anything is possible with faith in him! Pujas and sacred ceremonies available for all special needs. 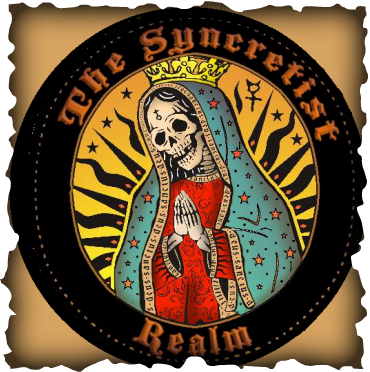 To be part of our Weekly Novenas and Receive a Blessed Amulet and your protection candle exclusively from the Syncretist Realm add a note with your payment describing your current situation. 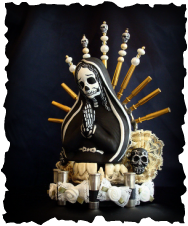 You can ask Santisima Muerte for many things including helping with illness of a loved one or bringing harmony with them. Our Novenas are conducted at midnight and start every day of the Month. If you feel like one Novena won't be enough, you can have it done twice or up to three times for an additional charge. You will get your amulet shipped to your address confirmed on your Paypal account. Scroll Down for the Donation of your Choice.